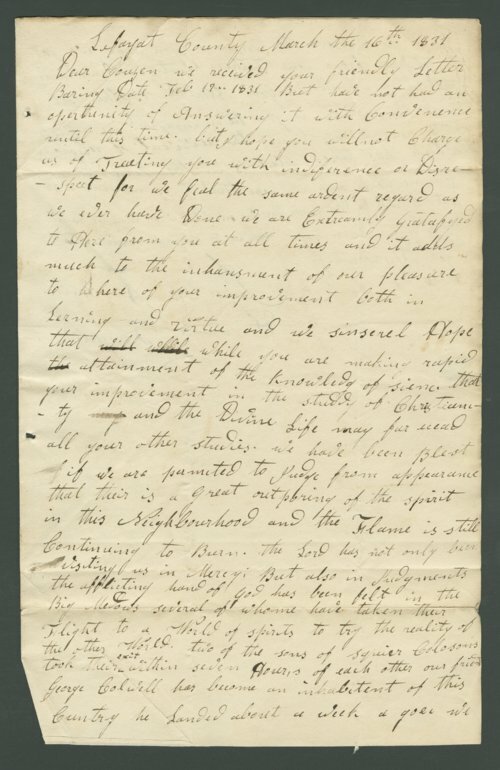 A letter written by Jasper M. Franklin and Sarah Franklin to Lewis Allen Alderson. Alderson later moved to Atchison, Kansas, in 1858 and was a prominent Baptist minister. He died in Atchison in 1881. A searchable transcription is available by clicking "Text Version" below.